DULUTH, Ga. (Jan. 11, 2017) – AGCO Corporation (NYSE:AGCO) and the Asmark Institute are collaborating to offer a new training program dedicated to educating and developing custom applicators of crop protection products and plant nutrients. The Applicator Training Course will provide a comprehensive program of professional training to newly hired applicators and those with up to five years of experience in liquid and dry application. The course will be delivered within a specially designed Applicator Training Center opening in Bloomington, Ill. The Applicator Training Course is designed to immerse the participant in practical learning experiences that range from basic math and measurements for proper agrichemical mixtures, to hands-on training in the safe operation of a variety of application equipment used in the industry. Fundamentals of machine maintenance, the importance of product labels, customer service and the overall importance of the applicator’s role in agricultural production will be detailed. The course curriculum is built on extensive feedback AGCO and Asmark Institute gathered from ag retailers and industry partners. 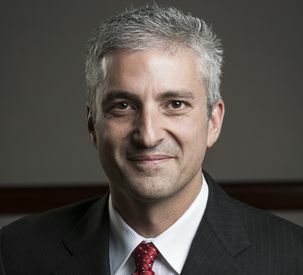 “We continue to see collaboration, technology and training as the essential elements critical to the future success of our industry,” says Allen Summers, President of the Asmark Institute. “As we worked with AGCO to review the feedback from ag retailers, we were encouraged by the specificity of training they wanted for their employees. “Training is needed that properly prepares the applicator for whatever situation he or she may encounter when they drive into each field. This course will teach the basics in a way the new applicator can fully comprehend, with a focus on safety, responsibility and value for the employee, their employer and the customer,” Summers explains. The new Applicator Training Center is a 6,000-square-foot facility located on a six-acre property just west of Bloomington, Ill., adjacent to the existing Agricenter, where other Asmark Institute Signature Training Courses are offered on anhydrous ammonia and grain handling operations and safety. Work is already underway to design and retrofit the facility to accommodate the equipment used for scenarios and specialized hands-on applicator training. Each course will consist of 3 ½ days of training with the first course expected to launch by June 1, 2017. Online registration for the Applicator Training Course is slated to begin April 1, 2017, on the Asmark Institute website. Input into course specifics also was gathered from members of professional organizations supporting the industry. AGCO and Asmark Institute have long histories of supporting the needs of agricultural retailers. AGCO has been designing, developing and providing the latest in application equipment and technology since its purchase of Ag-Chem Equipment Co. Inc., in 2001, a legacy which began in the 1960s. 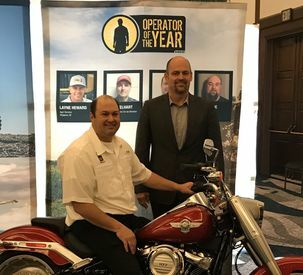 The company has supported and recognized the industry’s top professionals through the AGCO Operator of the Year Award program since 2005. Established in 1990, Asmark became a well-respected and established provider of risk management services and products for the agricultural industry. In September 2005, the Asmark Institute was formed as a private, not-for-profit educational organization to deliver Asmark’s unique collection of educational training materials to the retail agriculture sector to effectively support and advance the industry. For more information about this new training program, visit your local AGCO application equipment dealer or go online to Asmark.org. Online registration for the Applicator Training Course will begin April 1, 2017. For more information on AGCO's RoGator and TerraGator products offered in North America, visit www.ApplyLikeAPro.com. 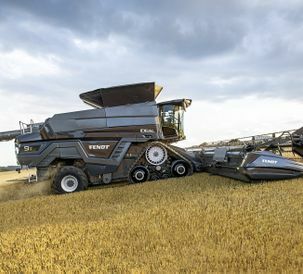 AGCO Corporation (NYSE:AGCO) is a global leader in the design, manufacture and distribution of agricultural solutions and supports more productive farming through its full line of equipment and related services. AGCO products are sold through five core brands, Challenger,® Fendt, ® GSI, ® Massey Ferguson® and Valtra, ® supported by Fuse® precision technologies and farm optimization services, and are distributed globally through a combination of approximately 3,000 independent dealers and distributors in more than 140 countries. Founded in 1990, AGCO is headquartered in Duluth, Georgia, USA. In 2015, AGCO had net sales of $7.5 billion. For more information, visit http://www.AGCOcorp.com. For company news, information and events, please follow us on Twitter: @AGCOCorp. For financial news on Twitter, please follow the hashtag #AGCOIR.